Gilly as seen from orbit. 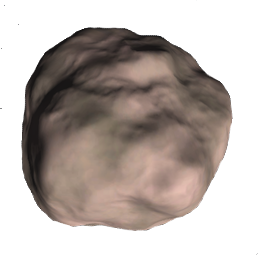 Gilly is a tiny asteroid, the only natural satellite of Eve, and the smallest celestial body in the Kerbol system. “ Gilly is a lumpy rock wandering around the orbit of Eve. It’s by far the smallest natural satellite that the Kerbal Astronomical Society has discovered. A topographic map of Gilly. The surface of Gilly is extremely dynamic and uneven, with many steep slopes and smooth areas. This moon is considered a captured asteroid. Gilly has the lowest mass and gravitational force of any body in the Kerbol system. Due to its minuscule mass and gravitational force, it does not have an atmosphere. Gilly's color might come from a high content of solid carbon. When terrain scatters are enabled in the settings menu, small rocks show up on the surface. With only 3 biomes, Gilly has the fewest number of biomes in the Kerbol System. Gilly has the least gravity of all bodies in the Kerbol system at only 0.5% of Kerbin's surface gravity, which is half that of Jool's moon Pol. It is very impractical to walk on Gilly; each step will launch a Kerbal several meters into the air. A Kerbal can jump over 200 meters on this moon and will usually take more than 4 minutes to return to the surface. This makes jetpacks a necessity to move around the moon practically. The low gravity also makes it very difficult to get into an encounter since it makes the sphere of influence so minuscule. An unplanned encounter with Gilly is unlikely when approaching Eve, even if the craft's trajectory is near the plane of Gilly's orbit. Because of this, it is easier to encounter Gilly by approaching it in a rendezvous fashion rather than attempting to intercept it with an a single injection maneuver as one would use to get from LKO to Mun. Gilly's mass is very small relative to Eve's mass, resulting in a very small sphere of influence compared to the semi-major axis of its orbit. In fact, no other moon in the game has a smaller mass ratio. Gilly's gravity makes it ideal for very low fuel interplanetary missions; however, its eccentric and inclined orbit may make encounters more difficult and fuel-costly. Landing, however, is extremely fuel-friendly: it is trivial to land on Gilly and return to orbit spending well less than 100 m/s of delta-v, though fine throttle controls are a necessity during the landing phase to avoid reversing your descent. Landing on Gilly is challenging due to its very low mass, steep slopes, and highly eccentric orbit, making it very easy to overthrust engines or send a spacecraft tumbling. 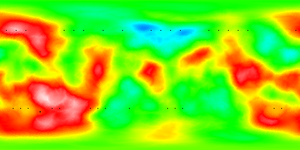 Gilly's odd shape and fast rotation give the surface near the peaks an apparent velocity near 5 m/s. Some players advise to keep the prograde on the navball tilted a little bit sideways to counter the Coriolis effect if you are landing close to the equator. To prevent tumbling upon landing, the final velocity trim may need to be performed by eye. It is advised to be adept in manually using RCS thrusters and to have SAS active on the lander. Time Warp can also be used to stabilize a lander, as vessels tip over so slowly on Gilly the game considers them stable enough to allow time warp. Gilly was once even more dangerous to land on due to a clipping bug with the collision mesh. This problem was fixed in version 0.17.1. Escaping Gilly is much easier — the EVA jetpack can easily put a lone Kerbal into orbit or set him on an escape trajectory. In fact, it's possible to deploy a Kerbal from a spacecraft in orbit around Gilly, send him down to the surface, and land him without using any other fuel source. The Kerbal can even return to orbit, rendezvous with the spacecraft, and still have up to 3.5 units of EVA fuel left. An unsuccessful touchdown attempt in 0.17. Notice the landing legs clipping through the terrain. 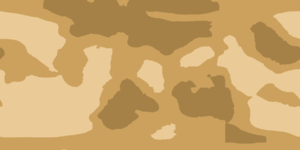 A topographic height map of Gilly as of Version 0.18.2. Made with the ISA MapSat plugin. A successful probe landing. Small rocks are visible on the surface in the background. A successful scientific, electrically powered probe landed on Gilly. The probe's small mass combined with Gilly's low gravity makes ionic engines feasible, as shown here. Fixed terrain collision detection issues. This page was last edited on 25 June 2018, at 18:16.